Hi friends! Are you getting in to the holiday spirit? I am! We finally got our Christmas tree up and decorated, now I’m working on a wreath for our front door. Pinterest has been my go to source for inspiration and I’ve found multiple gorgeous wreaths…like these and this one. I’m thinking along the lines of eucalyptus, berries and maybe a little plaid. Make sure to follow me on Instagram [@eightpepperberries] to see the reveal! Any who, today is about what I have for you! 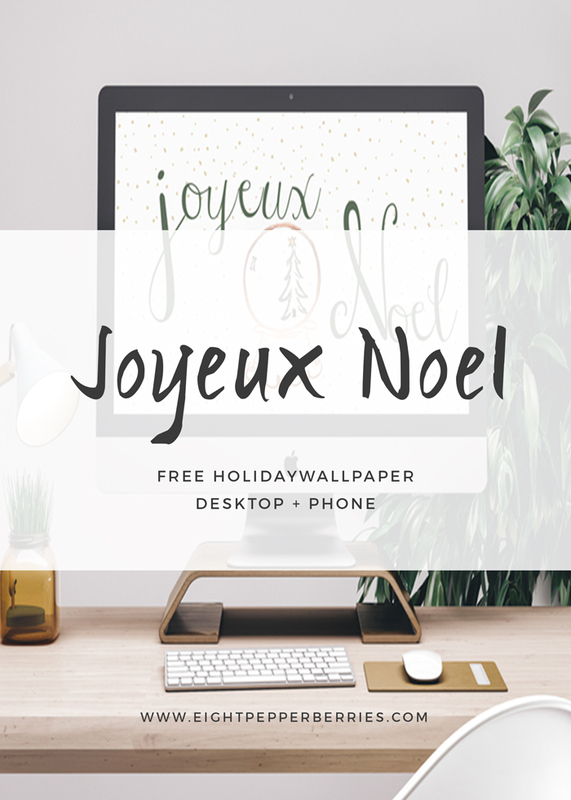 I’ve been getting in to graphic design [you may have seen my first art printable here] and thought what better way to get in the holiday spirit than with a festive Christmas wallpaper. 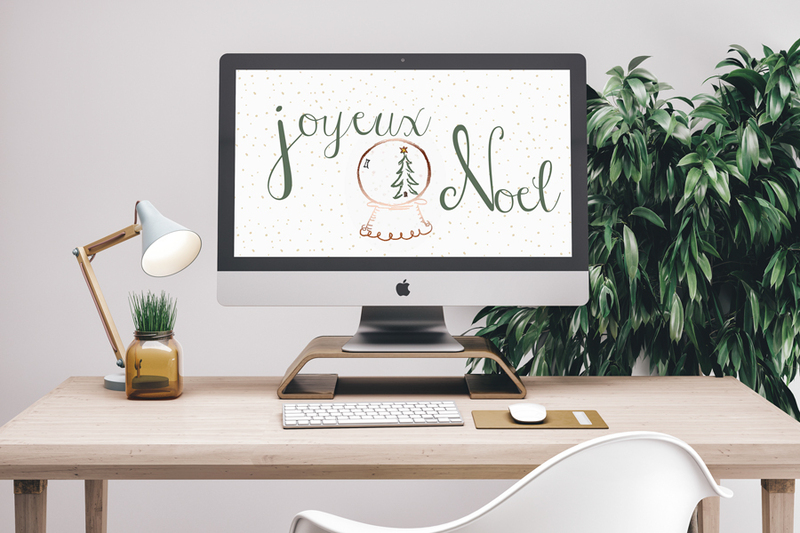 This design can be used on either your desktop or mobile phone….now that’s making spirits bright! Because I’m a lover for practically all things French, I went with the wording Joyeux Noel and the bronze look gives it a glam feel. The download links can be found in The Library along with other free downloads & printables. Sign up for the Eight Pepperberries newsletter and be the first to know when new freebies are released!